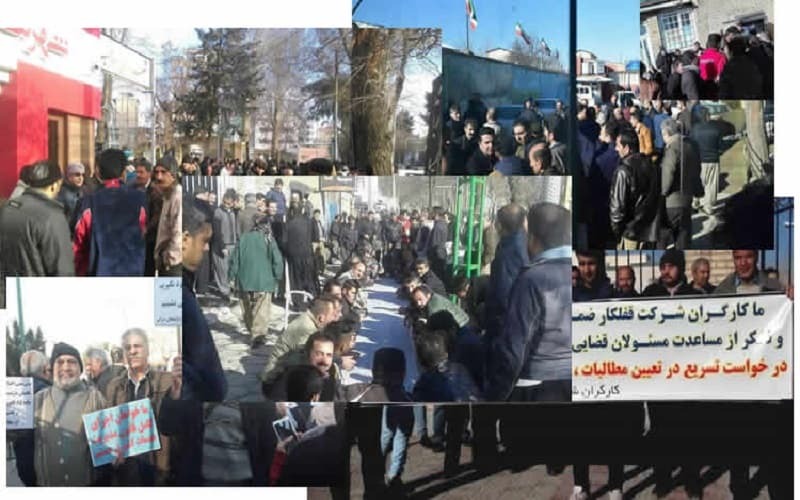 The protests in Iran continued in the first month of 2019 and included various strata. The Iranian people, especially the youth have thus declared that the Iranian people do not want this government، and this establishment is not capable of solving their problems. 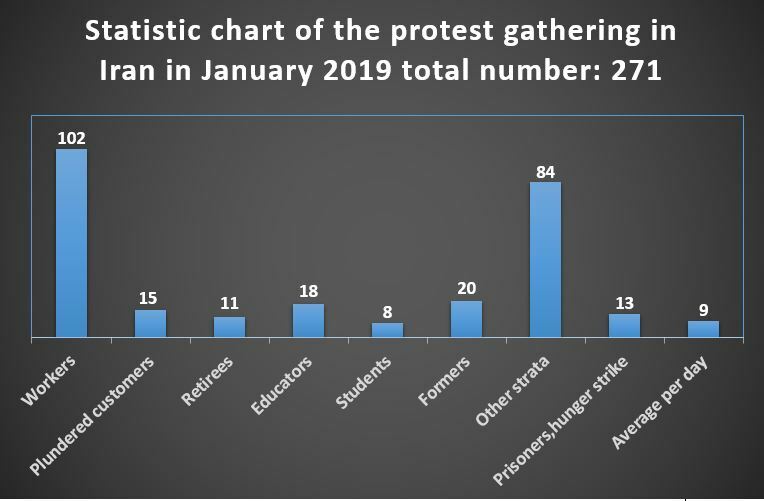 Iran protests in January 2019: according to the reports, 271 protest acts were held in 72 cities, villages, industrial and commercial areas, and so on. Based on these statistics, an average of 9 protests has taken place on daily basis. Total number of protests was 271. On average, there were 9 protests a day. In January, 102 protest gatherings were held by workers in 41 cities, commercial areas, and industrial centers. This is an average of three per day during this month. The protests were focused on unpaid wages from a few months to one and a half years, and other demands regarding the employment status of the workers, lay-off plans, job insecurity, and the workers’ dire livelihood. The 7-day protest gathering held by the heavy machinery drivers in Phase 12 of Southern Pars in Bushehr(S). In January, pensioners held 11 gatherings in three cities, protesting the non-payment of their pensions and their deplorable living conditions. In January, teachers staged 18 protest gatherings in eight cities. They protested about poor living conditions, lack of job security, lack of official recruitment, low salaries and the failure of the government to meet their demands. – The protest gathering of the students of the University of Medical Sciences in Shiraz to protest against the announcement of the establishment of private educational centers. – The protest gathering held by the families of the victims of the Sanchi oil tanker disaster who demanded the bodies of their loved ones to be returned to them. The continuation of Iran Protests in January 2019 indicates that the popular discontent can at any moment, erupt in form of a nationwide uprising which moves in the course of mullahs’ regime downfall.